We – The Management and staff of ORIENT FREIGHT INTERNATIONAL, INC. are committed to TOTAL CUSTOMER SATISFACTION by providing QUALITY SERVICE in support of our Corporate Philosophy. These shall be achieved by our highly-motivated Managers and Employees whose professionalism, commitment, dedication, training and experience are our assurance for continual improvement and success by meeting the requirements of our Customers, Government Regulatory Bodies and ISO 9001 Standard. To ensure total customer satisfaction by providing Efficient, Reliable, Economical and Innovative Logistics and Multi-modal Transport Services. To become the recognized industry leader in Creative Logistics Solutions. All across the country, Orient Freight’s Land Transport Services leads the way in linking your business to the market. We manage and operate a fleet of land transport equipment, specializing in the movement of containerized and break bulk cargoes. Orient Freight is one of the pioneers in the Philippines sea freight industry. Our world wide network ensures reliable and smooth cargo transportation from shore to shore. Strategically located in the globe, Orient Freight’s seafreight forwarding extends reliable and just in-time LCL and FCL transport services to and from U.S.A, Europe, Canada, Japan, and North & Southeast Asian countries. 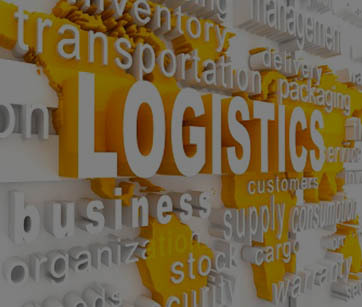 Orient Freight’s Logistics management department was created to assist investors in the Philippines through various logistics and transport services. Our services are tailored to help you establish and manage your business, from initial planning, set-up stage, to final operation. We provide assistance in securing approvals from the Department of Trade and Industry (DTI), Board of Investments (BOI) and other government agencies, provides consultation services in customs clearance procedures, investment laws, and industry/market information, as well as help in the delivery, unloading and positioning of equipment required for business set up. We also prepare a Logistics plan for the efficient handling of import and export materials and supplies, ensuring profitable operations. Our information technology department also develops computer software programs that complements your logistics plans. OFII is an accredited customs broker with now 44 years of experience in customs clearance and processing of import and export shipments. Our licensed Customs Brokers, with the help of our computerized programs, provide accurate preparation of entries for timely delivery of shipments. Transhipments to various seaports and airports around the country are done within 24 hours to ensure connection to the first available carrier. We also assist clients in obtaining necessary import and export permits for shipments which may need government approval. Over the years OFII has gained a reputation for efficiency and honesty in the brokerage industry. One of OFII’s bonded CFS Warehouse is situated in Manila at the Tabacalera Compound with an area of more than 3,500 sq. meters and a warehouse capacity of more than 2,500 Revenue Ton. Warehousing services are strictly performed and supervised by Orient Freight’s personnel. The facility is equipped to accommodate import/export cargo ,LCL cargo, container vanning/devanning, cargo segregation, marking, packing and crating. The other is located in Cebu at Door 1 & 2 Star Building, E.S. Baclig Jr. Avenue, Cebu Port Center Pier 4 with an area of 1,306 sq. meter and a warehouse capacity of more than 1,500 revenue ton. OFII also maintain two warehouses in Davao City situated at L9 & L10 Far East Warehouse and ZW9 Ilang Agri-Industrial Estate Pan-Phil Hi Way wherein the former has an area of 2,936 sq. meters and warehouse capacity of 6,500 metric ton. The latter has an area of 1,000 sq. meter and warehouse capacity of 1,600 metric ton. From Manila to Cebu, to other neighboring provinces and industrial zones, DDS has a proven track record of fast and efficient services, including JIT deliveries. Backed by our equipment and facilities, such as delivery vans and a distribution center, we are well-equipped to serve even the most complicated delivery requirements. DDS warehouse is situated at LYL Business Industrial Park in Carmona Cavite. It has 3,700 pallet position for ambient storage and 500 pallet position for controlled temperature storage.